MODEL 1SM 1/3 HP motor, 1 PH, 1725 RPM. 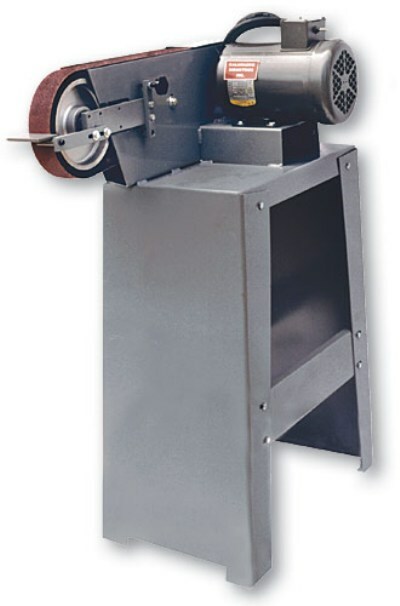 1"x42" belt, 4" contact wheel, tilt table. Vertical sander only. 1800 SFPM. Wt. 32 lbs.